On less then 80 kilometers or three hours by car we counted today more than 30 000 refugees on the run from Blue Nile province, Sudan. Children of all ages, old people, … men and women carrying kids in baskets, mothers with last night born babies wrapped in piece of cotton sheet, lines and lines after lines of people with most humble belongings marching through the bush, tired, so exhausted … Serious, with not much expressions – except: we are thirsty, we are hungry, we are tired. Most of them started their journey weeks ago. Somewhere in the villages of Ingassana hills. 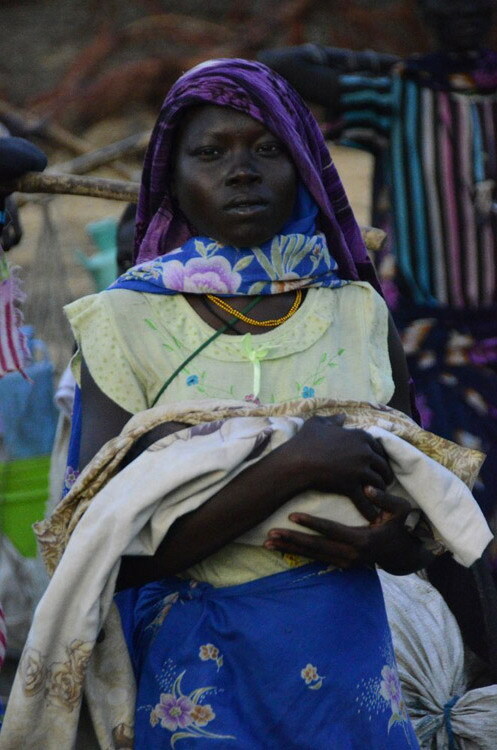 Although Ingassana hills are famous for its fertile soil similar as Nuba hills, and people are known as great farmers with surplus of food – now indigenous people are all skinny looking like ghosts. No one appears to be fat. We saw many, particularly old, on knees. Or obviously walking with their last strength. Some of them sat under tree – not capable to wave salute. There are no UN agencies on the whole 80 kilometers way from the border. 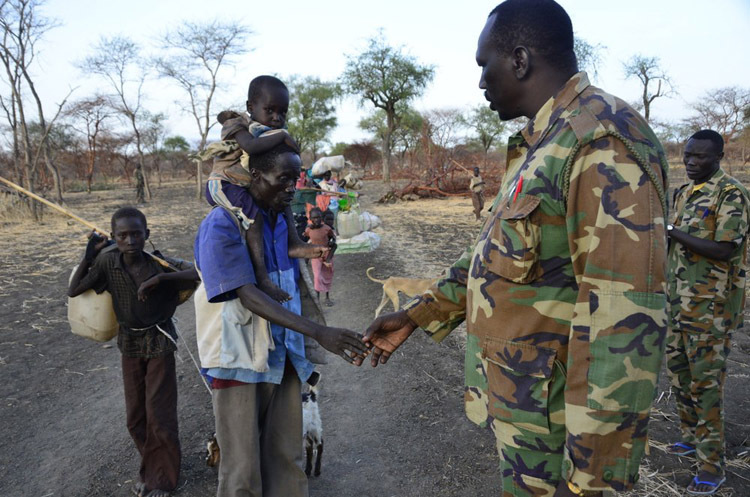 Only Medecins Sans Frontieres greeting members of this great exodus of the time half way from the border, more than 40 kilometers after they cross into Upper Nile, South Sudan. 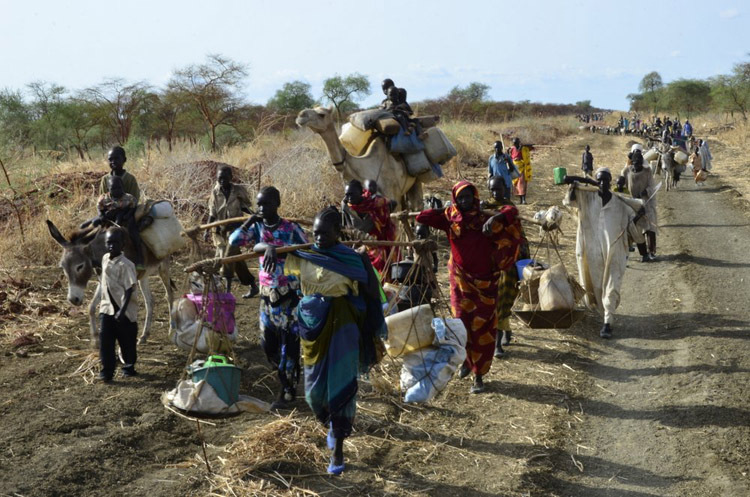 It is because of politics of UN adopted by all other NGOs which demands that no refugee can NOT get ANY HELP OF ANY AGENCIES LESS THEN 40 KM FROM THE BORDER WITH THE COUNTRY IN WAR. 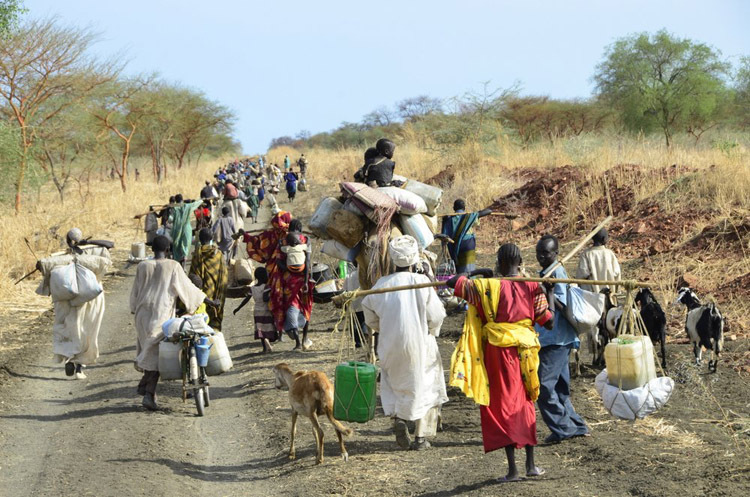 This is why the victims of international politics must walk now after they walk for weeks another 80 kilometers to settle in refugee camp in Jamam to get water and food and peace and rest. They can not stay home because of bombardments by Russian made Antonovs constantly scaring them away. Because of Antonovs Sudanese government is using to remove all Africans from the lands of their ancestors they did not succeed to plant enough traditional sorghum last rain season. 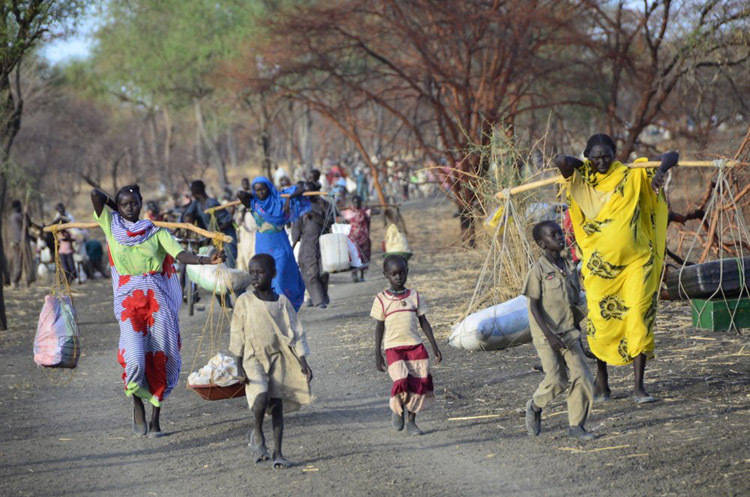 Omar Bashir declared clearly in January last year that in case of separation of South Sudan, there will be no mercy for Africans who stayed on northern side of the border. 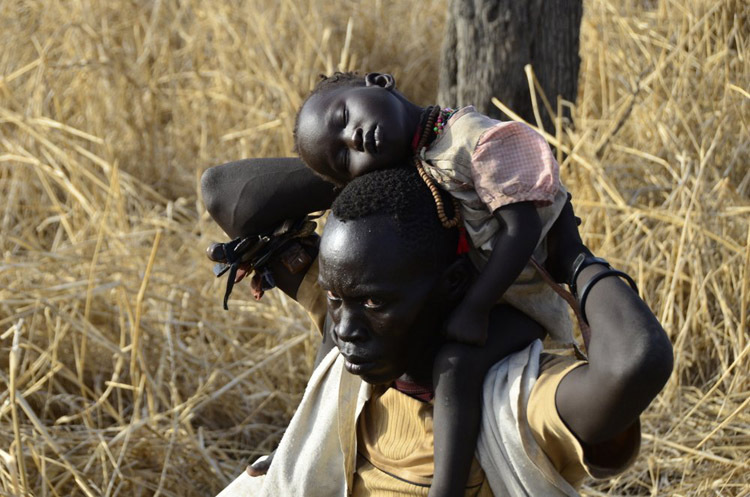 Hunger is strategic weapon of Arab government in Khartoum just as it is in Nuba Mountains and Darfur and Abyei. Just like in previous war now also there is no mercy now for indigenous people on disputed border line from east to west. But why international peace brokers are looking away now? 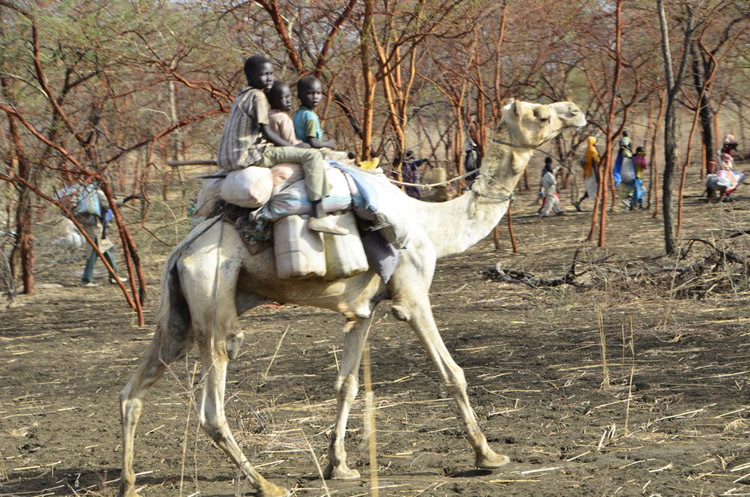 – are asking thirsty, exhausted, hungry people in the 80 kilometers lines with all their belongings from Al Fuj to Jamam. Where are now European and American champions of human rights and democracy? There are hundreds thousands more to come!!! !